If you have been arrested in Tampa for DUI, one of the most common pieces of evidence the State will use against you is the Breath Test. In Florida breath tests are taken on a machine called the Intoxilyzer 8000. If it is found that one or more of these conditions occurred your breath test result may not be accurate. If it is found that an officer took the result incorrectly, it is possible to suppress the results altogether. However, only an experienced and knowledgeable attorney will be able to determine if you have this defense available. The breath test is the State’s most important and relied on piece of evidence in your case. 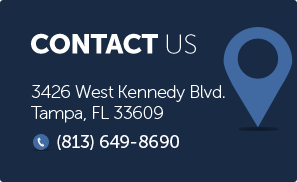 Call the dedicated and experienced attorneys of Finebloom, Haenel & Higgins now at 813-200-4421. Let us help you fight your case!! The “source code” refers to the software that runs the Intoxilyzer 8000. In recent years, there have been challenges as to whether or not this software is approved for use in the State of Florida. More recently, there have been challenges to changes in the machine’s design that may or may not have been approved by the governing body. If it is found that the design change was not approved it may be possible to suppress the result on this ground. Challenges of this type are very complex and very lengthy!!!! It involves understanding of engineering concepts as well as administrative rules. But in some situations it may be your best defense. It is important for you to consult an attorney familiar with this litigation before you decide that this particular defense is right for you. The members of our defense team investigate not only the machine itself, but the people who administer the test. The attorneys in our firm are familiar with how this machine can produce inaccurate results. We use this knowledge to challenge your breath test result. Successful challenges to the Intoxilyzer can result in the reducing of charges or dismissal of your case. At Fineblooom, Haenel & Higgins we are committed using our knowledge and experience in this area to obtain the best result possible for your individual situation. Call us now at 813-200-4421 to discuss how our knowledge of this machine can work for you.